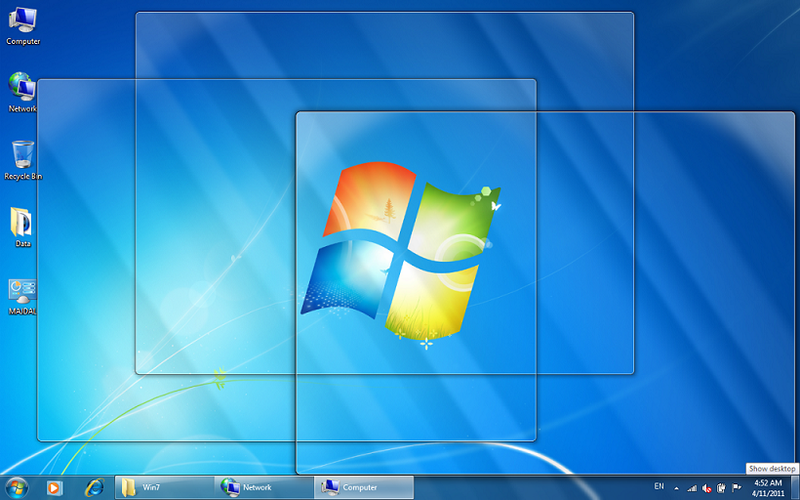 Aero Peek is a new feature introduced with Windows 7. 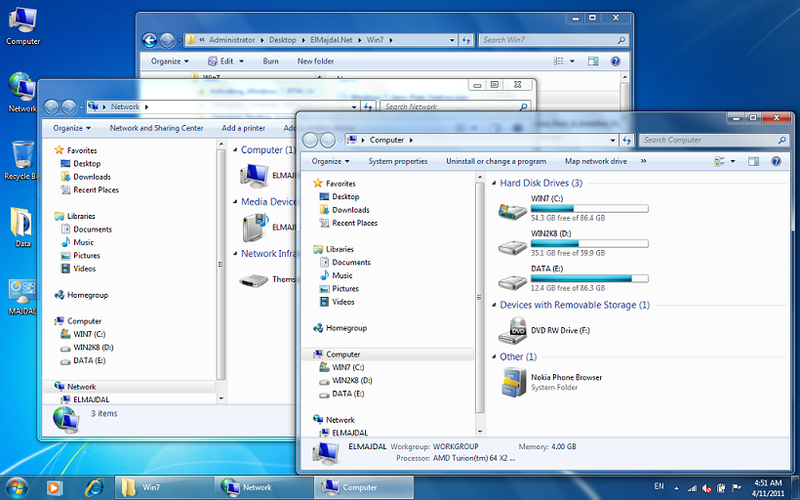 It is available with Windows 7 Home Premium Edition, Professional Edition and Ultimate Edition. With Aero Peek, you can peek on your desktop or into thumbnail preview of an opened Window on your taskbar. What this feature does is to make all the active windows transparent and you will be able to see/peek your desktop/thumbnail window without minimizing all your currently opened windows. Aero Peek is available when you are using Windows 7 Home Premium Edition, Professional Edition and Ultimate Edition, and are using an Aero theme. To have a peek at the desktop, move the cursor to the extreme right corner of the taskbar and keep the cursor on the small vertical button. This will make all the currently opened windows transparent and you will be able to see your desktop without closing any window. If you intend to work with your desktop and want to minimize all currently opened windows, then all that you have to do is to click on the Show desktop vertical button. Another feature of the Aero Peek is the ability to preview an opened file or Windows. Point your mouse pointer to the file/program/Window icon in the taskbar and then hover over the thumbnail that pops ups. You will notice that everything else got transparent except the windows you are peeking into. This gives you the ability to look into this window without having to close other windows or minimizing them. 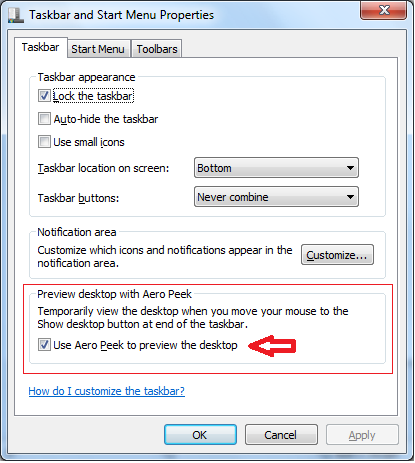 To Disable the Aero Peek feature, right-click on your taskbar then click Properties. Under the Preview desktop with Aero Peek section, you can deselect the Use Aero Peek to preview the desktop to disable Aero Peek. 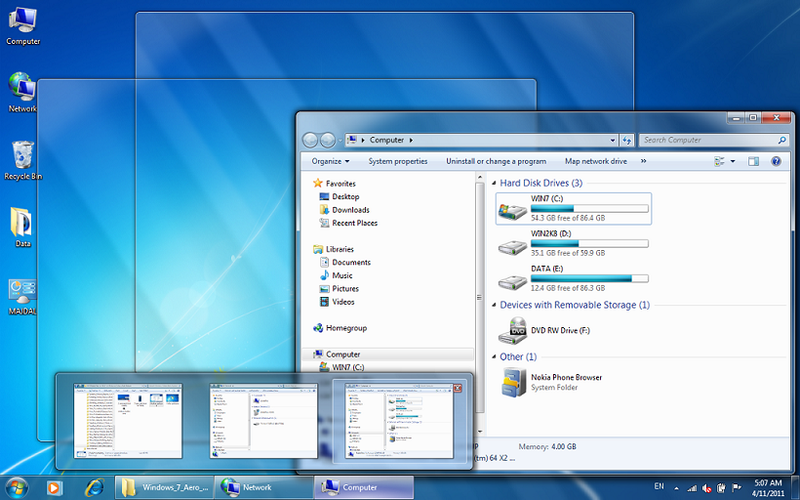 Windows 7 Aero Peek is a new feature introduced with Windows 7. It offers two functions. First, it can be used to peek behind all of the opened windows. 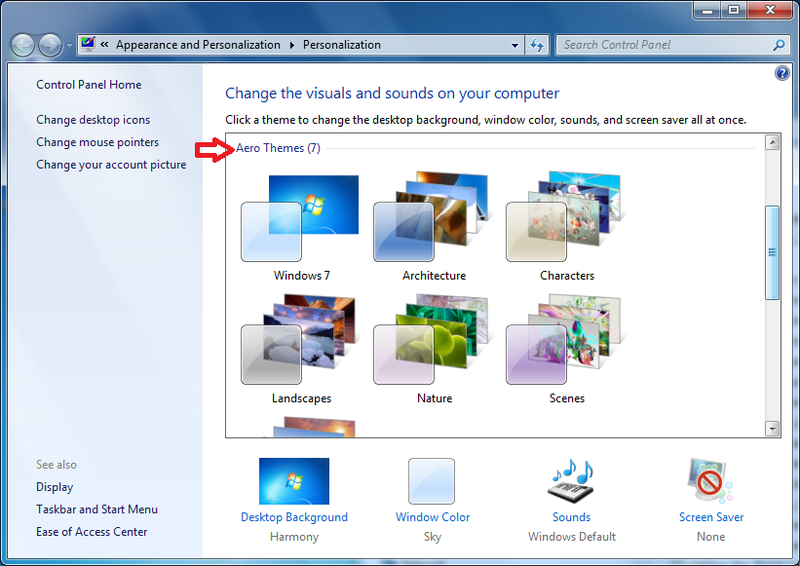 Second, it can be used to preview a thumbnail window on your taskbar.